It’s January 7th and I still haven’t come up with new “New Year’s Resolutions”. 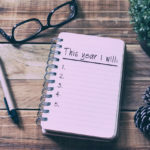 You may find that interesting, especially because I wrote a blog post a few years ago about making new year’s resolutions. But I think there’s a good reason for my resistance. I still think there is value in reflecting on the previous year and how you want to grow in the coming year. My struggle is that I think I did such a good job picking resolutions and personal goals last year that I want to pick the same ones again. 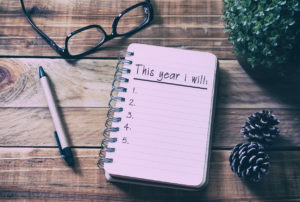 For some reason, I felt a little self-pressure to pick “new” resolutions and goals, but the reality is, last year I didn’t pick specific goals, but rather ways of being (although I didn’t realize this difference when I wrote them). I then had some sub-goals / descriptions underneath each major goal on how I couldlive that goal. I created a section in my Reflection / Prayer / Gratitude Journal where I would reflect on the progress I was making towards each goal. As the year progressed, I realized that my internal dialogue shifted. As I would journal, I wasn’t giving myself a “yes I met the goal” or “no I didn’t meet the goal” grade, but rather, I was really reflecting on whether or not I practiced the goal on a daily basis. The goal shifted from a finish line to a way of being. That, somehow, was less pressure. It was more about being mindful in each step versus rushing to a finish line. It was about the overall journey. On the morning of January 1st, I reflected on 2017 as a whole. 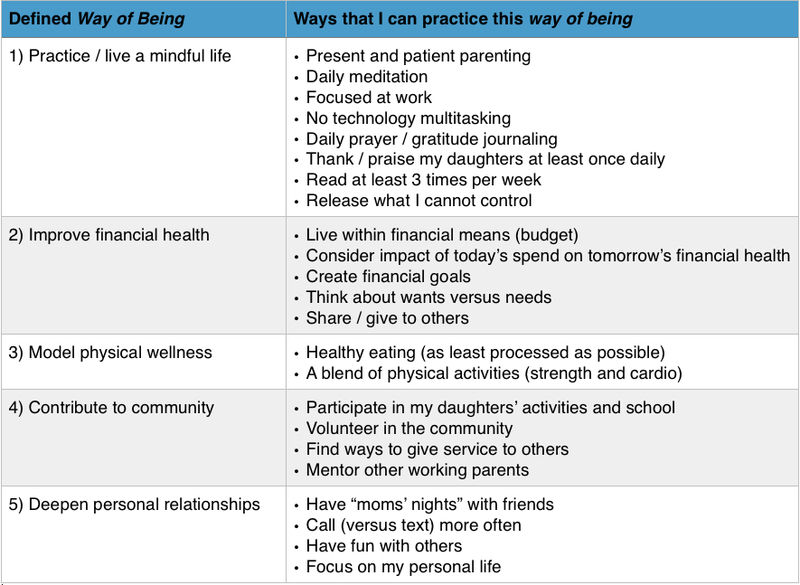 I realized that, while I did “meet” some of the “subgoals” under each major goal, what was more important was the fact that I was mindful of each one in my daily life. 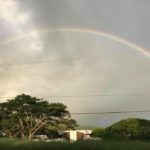 Furthermore, I realized that I didn’t want these goals to be “one and done” goals, but rather, I really did want them to be a way a being – a part of who I am. And so, I decided to keep the same “ways of being” for 2018. As each year passes, I may evolve these ways of being and pick different ways to practice them each year, or I may decide that there is new area that I want to discover and grow, but I hope in any case this focus on being intentional, not just about what I want to achieve, but who I want to be will help me grow and be a better mother, daughter, sibling, friend, employee, and member of my community. May 2018 be the year you become the person you want to be!